Animal Science has now merged with Animal Research and Reproduction, Nutrition, Development to create the exciting new journal animal Click here for more details. 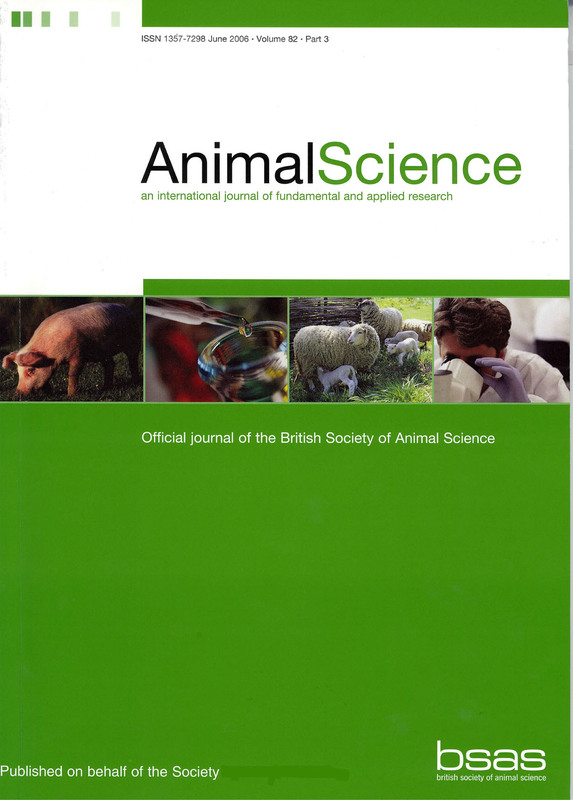 Animal Science is the journal published for the British Society of Animal Science upto and including 2006 (Volume 82.) It publishes original research at the molecular, cellular, organ and system levels as well as research involving whole animals, production systems and mathematical modelling. Papers deal with scientific principles and applied research of relevance to animals which are economically important to man in both temperate and tropical regions. Animal Science covers a wide range of topics including: Breeding and Genetics Nutrition and Digestion Physiology and Endocrinology Reproduction Lactation Growth Health Ethology and Welfare Environment and Housing Food Evaluation Animal Products For those involved in the fields of animal science, animal biology and animal production, this is an essential record of research.